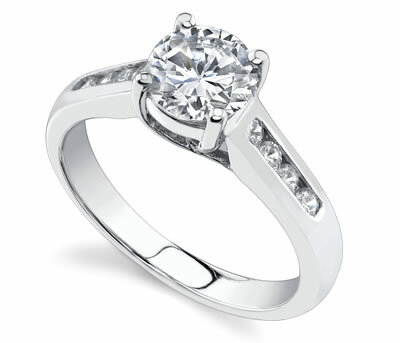 Picking the right engagement ring is never an easy task. But then not just picking the right is, gathering the courage to ask her hand for marriage is also pretty much sweating stuff. But you ought to dig deep inside your heart and find courage out of the fear of failure as you have nothing to lose irrespective of which way the consequences goes. When you are in love, it is all worth the effort. Finding the unique special one particular ring is similar to finding a speck of gold in Sahara desert. There are so many varieties, styles, designs, materials, colors, studs, diamonds, setting styles etc to choose from and when you enter a jewelry mart, your head will start swirling looking at the options only. 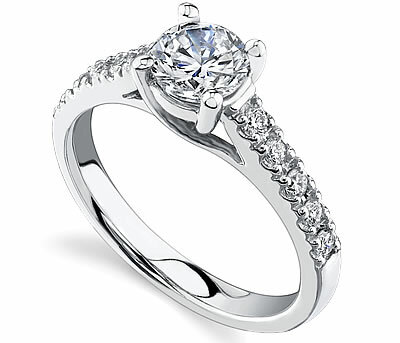 Every ring is invariably elegant and gorgeous. The best choice for you would be to know her likes and dislikes well and choose accordingly. 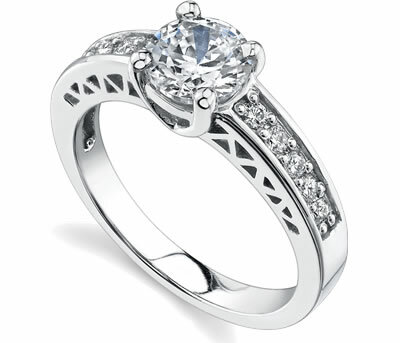 Trellis engagement ring setting is a traditional one and if your girl friend is orthodox and traditional, this ring would be the best choice. 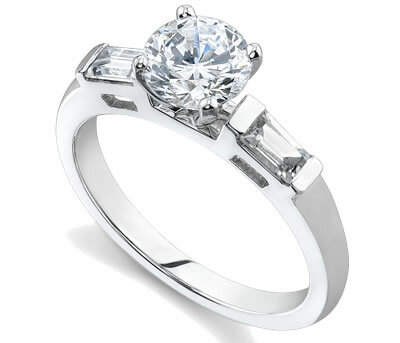 It has 10 brilliant round cut diamonds set on either side of the center piece. It is made of white gold and it is 14k and 18k gold which is the in-thing in market to do and every girls digs it a lot more than usual. « Are You Ready to POP the Question?